Acne scars are formed when normal skin tissue is destroyed and replaced with fibrous tissue, as a result of acne skin trauma. Although there are different types of acne, inflammatory acne is most likely to create scarring as deeper skin layers are affected. Vivace RF Microneedling is an advanced treatment that removes acne scars and restores skin to a youthful state, by stimulating the production of new collagen. With the help of a microneedling device, radio frequency (RF) energy is delivered into the deeper layers of skin, which promotes the natural wound healing process, activates the production of new collagen, and tightens skin tissues. 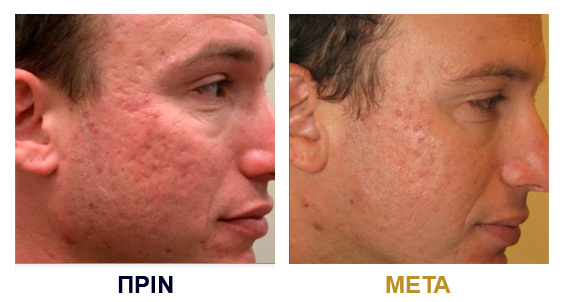 In VF Laser Clinics, with Vivace® RF Microneedling we successfully remove acne scars. Vivace® is a safe, chemical-free treatment; Vivace RF Microneedling device has been FDA (US Food and Drug Administration) approved in January 2016. 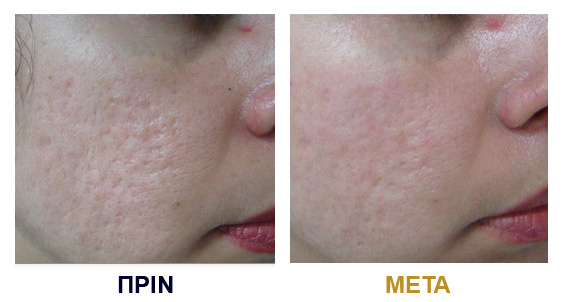 Highly Effective Treatment for Acne Scars. Brings back firmness and improves contour. Non-Invasive, Drug-Free, and FDA Approved. Vivace RF Microneedling is an advanced treatment recommended for the removal of acne scars formed in face and/or body areas. It is a drug-free, FDA-cleared treatment proven to be a safe and effective. The procedure is virtually painless and you can return to your everyday activities immediately after the treatment.